The 2018 Ekka opens tomorrow! Looking forward to 10 days of food, fireworks and FUN! 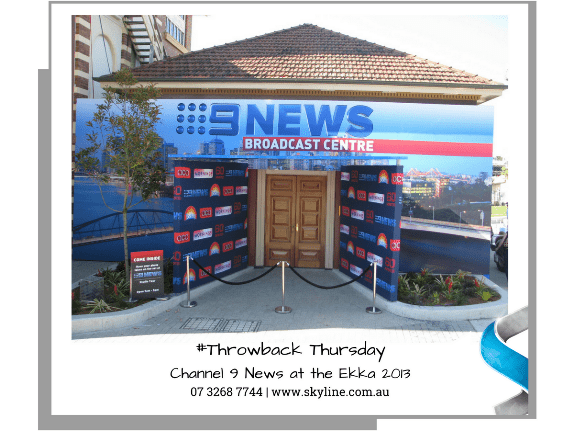 Check out the incredible super structure we built for the Channel 9 Broadcast Centre in 2013. This custom project wrapped around the heritage building on the RNA site. Want to make a statement like this at your next event? Visit www.skyline.com.au or phone 07 3268 7744.